Any questions regarding a repair, new bike purchasing, accessory installation, component compatibility, special orders etc etc get in touch with us! 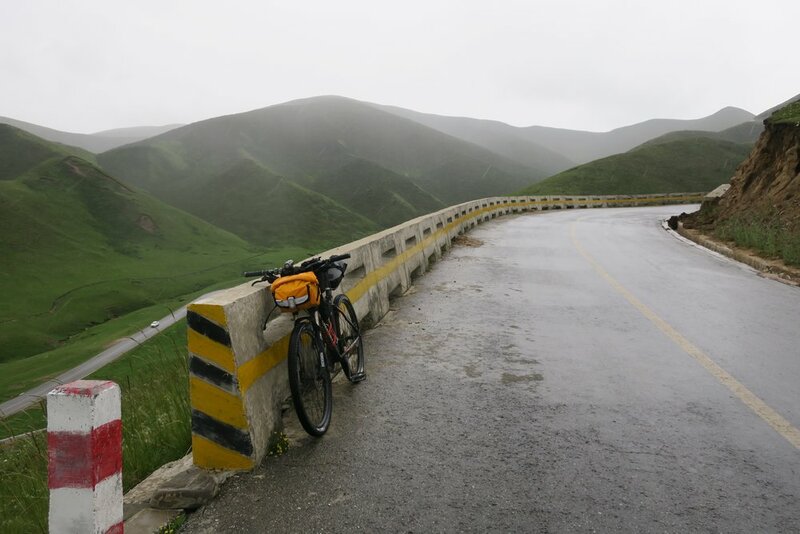 Two friends of mine, both teachers in Shanghai, invited me on a bicycle tour of China's largest Province, Qinghai. 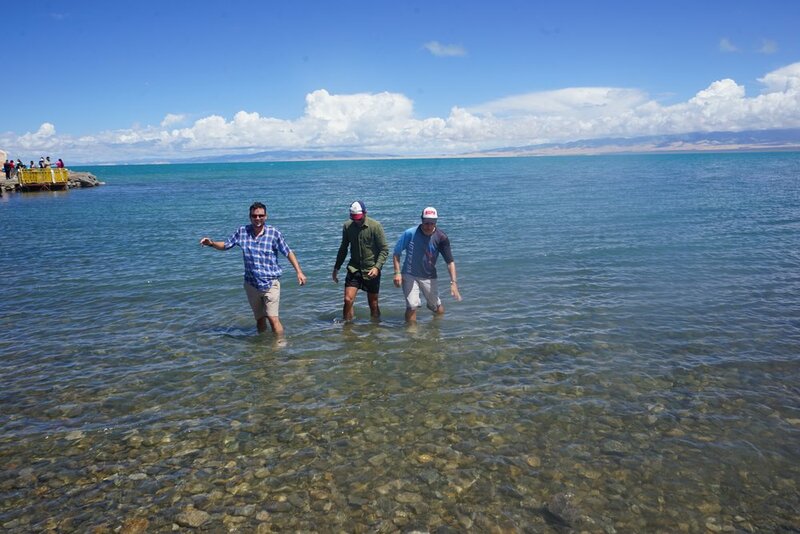 Qinghai Province is the most western you can go in China before you enter the Autonomous Region of Tibet. The providence is part of the Tibetan Plateau which is home to Tibetans, Muslim Chinese, and Han Chinese, averages 9,000 feet above sea level, has China's largest lake, and is where one of the longest rivers in the world, the Yellow River, originates. Departing from Shanghai, we disassembled our bikes, threw them in bags, put "Fragile" stickers on them and hoped for the best. No baggage fee and to our surprise we arrived in Xining Airport with our bicycles undamaged. Apparently U.S. airlines need to take some tips from their competitors across the pond. We were fortunate to interact with so many wonderful people. Luckily our buddy Sam speaks Mandarin pretty well. But many in this area only speak local dialects or Tibetan. Smiles, Hello, in English, and body language went a long way. Everyone we interacted with were incredibly welcoming. I doubt many westerners come though these parts. Because of this, we were asked to take selfies on the regular. The three of our faces are for sure all over the Chinese internet at this point. Our favorite meal. 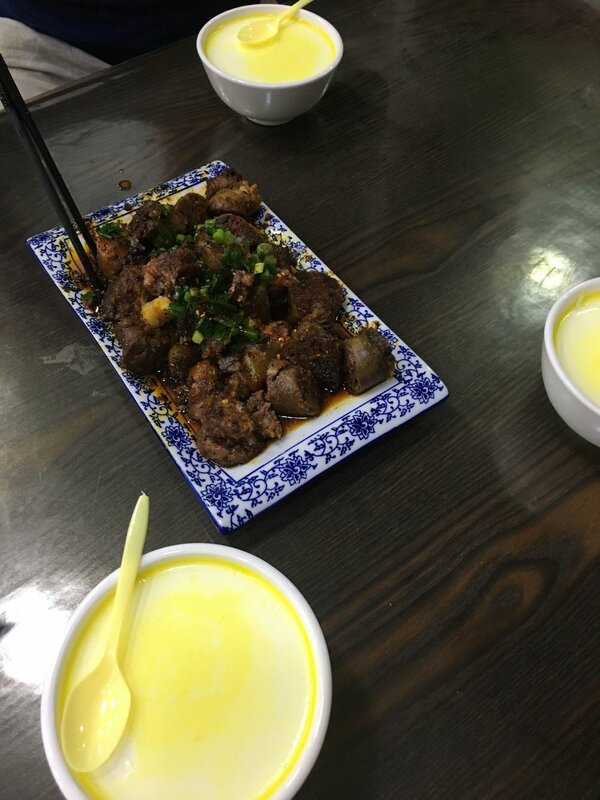 Blood sausage and yak yogurt. We encountered a lot of sheep and yaks up in those mountains. Paired with the Muslim population in the providence, lamb was plentiful and delicious. 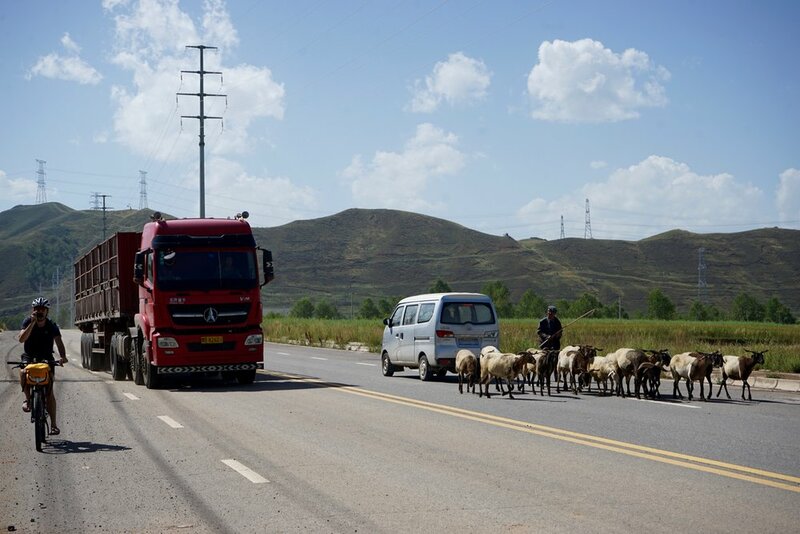 One of my favorite experiences during the tour was the hoots, hollers, and thumbs up as we cycled past people on motor bikes, farm equipment, cars, or from the mountainsides. People would give a smile, a loud HELLO! in English or my new favorite Chinese word 加油 (Jiayou). It translates to "add oil" or "lubricate". But it was explained to me as being similar to "Allez Allez !". Next time you are climbing up a steep grade be sure to give your comrades a good Jiayou Jiayou! yell of encouragement.